and help us relax but also improve our outlook on life and protect us against a range of life-threatening illnesses. 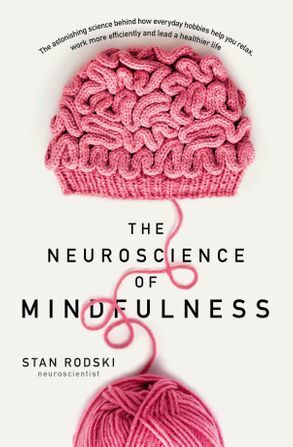 Stan Rodski is an Australian neuroscientist in private practice specializing in brain performance. He has a bachelor's degree in psychology and a doctorate of science in biological statistics. Dr Rodski has worked as a psychologist for over 30 years and more recently has focused on the neurosciences. Stan has helped many people, schools, sporting teams and organisations with improving performance and in particular memory, concentration, agility and resilience. •It was through the discovery of the positive neurological effects of colouring-in using Dr Rodski's designs which has sparked a worldwide sensation resulting in three of Dr Rodski's colouring-in brain science books being featured by Oprah Winfrey in her 2016 Christmas Wish List. These three books, Modern Medi-tation, Brain Science Colourtation Technique and Anti-stress were a worldwide success.